Great new shows that will probably get you hooked at first sight. (SPOT.ph) When the networks released their summer line-up, it was like they injected caffeine straight to our hearts. We were flabbergasted. Astounded. Stupefied. Stunned. We can write this entire paragraph with adjectives that mean shocked, but we need to start talking about our excitement now. There are gems on TV, like the Ryzza Mae Show, that captivate the audience effortlessly, but if you’ve had your fill of telenovelas about love polygons, identity-swap, blackface, ugly ducklings, and Koreans-the big networks are shaking things up with new shows that are motivating us to buy those phones that double as a portable television. Here are five new shows that we can’t wait to watch this summer! Catching wind of Lourd de Veyra’s server-crashing open letter, Vic "Bossing" Sotto met up with the network executives and a new science-oriented program is now in the works. The show, working title Bossing in Space, will follow a similar format to the recently rebooted Cosmos: A Spacetime Odyssey with astrophysicist Neil deGrasse Tyson, but with a little more humor. What we can expect: GMA is partnering with DOST to ensure that the show is accurate, as the network prides itself in being above sensationalizing news and information. 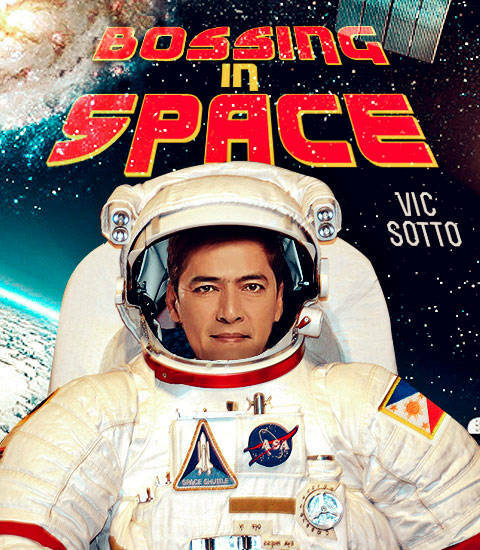 Not wanting to give up his status as a comedian, the nation’s beloved Bossing will leave the science to the scientists and he’ll take care of the humor. Sotto feels like it’s a good time to use his influencial position in the business of show to educate people about gravitational collapse and explain why there is time dilation when light approaches the event horizon of a black hole. Starring Daniel Padilla, BB Gandanghari, and Kathryn Bernardo. Following the success of My Husband’s Lover, ABS-CBN proudly announced that they too are joining the movement to abolish LGBTQ stereotypes. 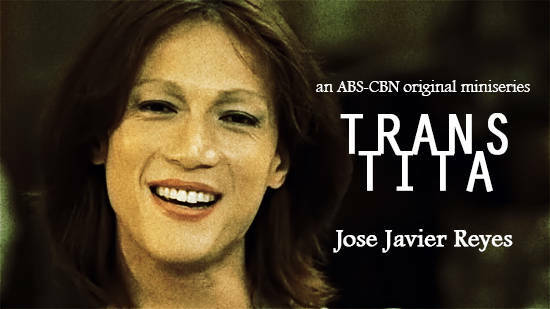 There were some criticisms on the Showtime segment That’s My Tomboy, which enforced the idea that lesbians are all butch boy-wannabes, and to make up for it, Joey Javier Reyes signed on to direct the mini series Trans Tita, a dramatic thriller with aliens. It is a bold move but ABS-CBN was never after high ratings. Despite imminent protests from CBCP, INC, and every other religious group, the network wants to encourage their writers to keep thinking outside the box and not rehash old ideas for the sake of revenue. What we can expect: Daniel Padilla and BB Gandanghari will star as fictionalized versions of themselves, with BB Gandanghari as Tita Tita. Daniel Padilla will be taking on the role of DJ, Tita Tita’s nephew whom she raised after a horrific accident that resulted in the death of her brother (guest star Robin Padilla will play Daniel’s father in the pilot episode). Kathryn Bernardo will play Kathy, DJ’s girlfriend, who is an alien from Planet 9, where homosexuality is considered an unforgivable sin punishable by death. The show will have 10 episodes, chronicling the days leading to Tita Tita’s wedding in Europe, running parallel to Kathy’s need to understand that you can’t harm someone just because they’re gay in some parts of the Earth. Will Kathy end up killing Tita Tita? Would DJ still love Kathy if she can’t overcome her alien upbringing? 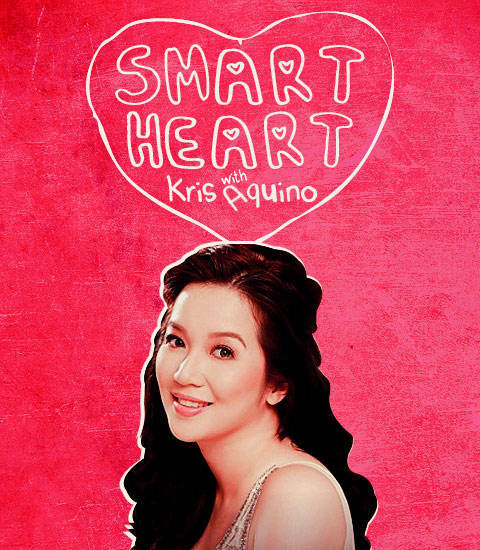 Known for her infamous relationships with distinguished bachelors, ABS-CBN has tapped Ms. Kris Aquino to share her wisdom with the public. 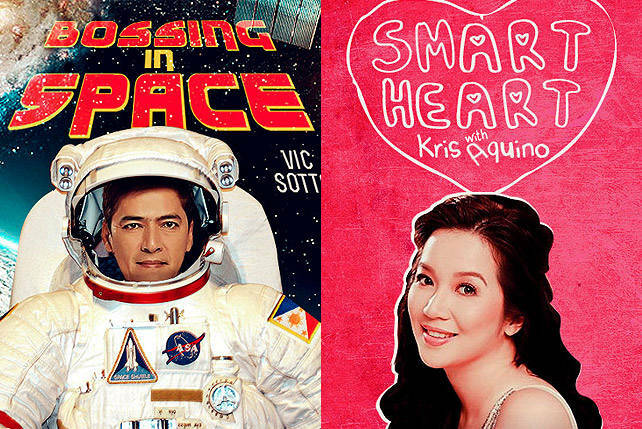 The network heads have announced that the new show will have Kris Aquino giving love advice to letter senders and celebrity guests. What we can expect: The program, Smart Heart, aims to empower women by reinforcing the idea that regardless of their intelligence, what is important to a lady is to have a man to stand beside and support. Ms. Aquino has expressed concerns about the format, as she has always been hesitant to share her private life, but she signed on after executive producer and friend Boy Abunda assured her that the program doesn’t require her to share her personal experiences. Aquino wants to help women who are struggling with being single, as she shares their intense need to avoid it at all costs. TV5 is bringing back the fright that TV horror shows, like Okatokat of the late ’90s, gave children. This time, however, they’re out to scare the adults. 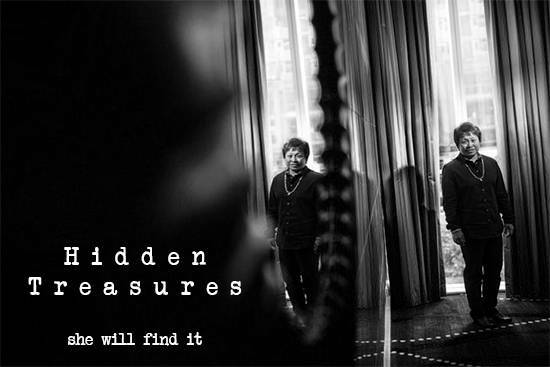 Hidden Treasures, hosted by Kim Henares, will dive into the world of ghost accounts, mysterious disappearances of wealth, and the curse of taxes. What to expect: The show was originally offered to COA Chairperson Grace Pulido-Tan and DOJ Secretary Leila de Lima, but the two women were busy doing actual work and the network needed someone with a more ominous feel. BIR Commissioner Kim Henares enthusiastically agreed to take on the project. The BIR has been ramping up the scare campaign and there is a lot of leftover creativity in the department. They want to move from mere infographics and go full-scale with their strategy to tax everything and everyone. It’s a common joke that the Vice President’s only actual official job is to stay alive, in case the President suddenly runs into the Cloaked Figure with a Scythe. VP Binay’s advisers told him to ease on the posturing a little, but to stay relevant and make use of his surplus of free time wisely, the Office of the Vice President reached an agreement with COMELEC and TV5 to create a service-oriented program that masks the scent of political ambition by dousing it with entertainment through song and dance. What we can expect: Based on data from previous elections, most of the people favored public officers who can put on a show for them, and COMELEC saw the logic in allowing people from the government to continue to give this service to the people after the elections. 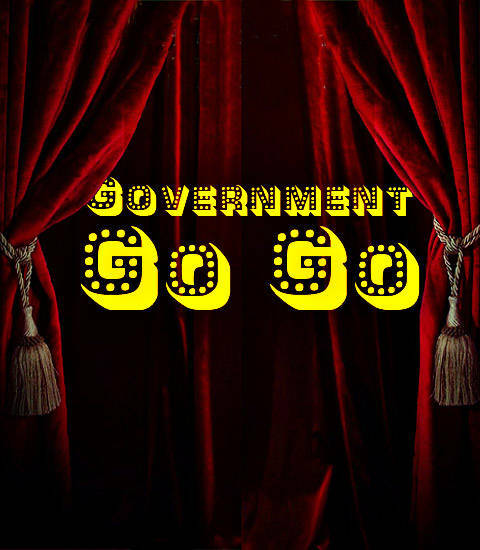 The new variety show, Government Go Go, will air on Saturdays, allowing everyone to experience the joy of the campaign season every weekend. Look foward to an afternoon extravaganza featuring your favorite mayors, district representatives, and senators performing spectacular production numbers! Note: All of these shows are pure figments of our imagination. Happy April Fool’s Day from SPOT.ph! 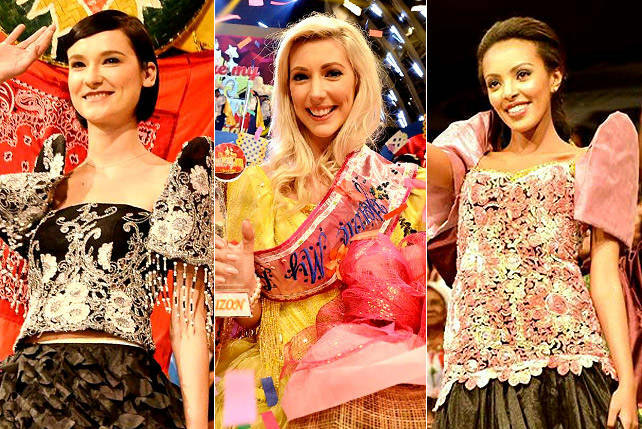 5 Hilarious Moments from "You’re My Foreignay"